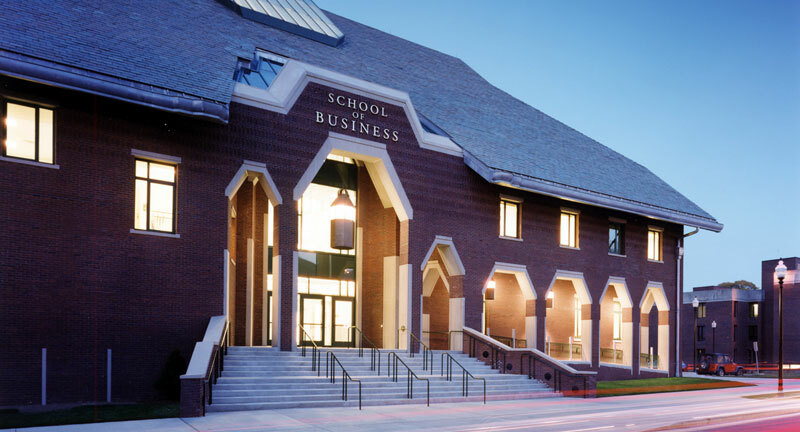 The University of Connecticut School of Business has evolved into one of the most comprehensive business schools in the nation, offering academic programs at the bachelors, masters, doctorate and advanced certificate levels, in five Connecticut locations – Storrs, Hartford, Stamford, Torrington and Waterbury. Our mission is to be a globally recognized provider of exceptional managerial and business leadership through innovative experiential learning in a dynamic global business context: integrating real world education, outstanding research and strategic outreach. To be considered for UConn's MBA program, students must have at least two years of professional work experience, strong GMAT scores (usually between 580 and 660), and a solid undergraduate academic record. In recent years, the UConn incoming class had an average undergraduate GPA of 3.4 and an average GMAT score of 621. Full-time students had an av...To be considered for UConn's MBA program, students must have at least two years of professional work experience, strong GMAT scores (usually between 580 and 660), and a solid undergraduate academic record. In recent years, the UConn incoming class had an average undergraduate GPA of 3.4 and an average GMAT score of 621. Full-time students had an average of five and a half years in the work force, while part-time students had eight years of professional experience. While UConn enjoys great “local brand recognition” and “very good connections in the state of Connecticut,” many students are disappointed with their school’s career center. Drawing the majority of its business contacts from the immediate region, many feel that the “career center perhaps needs to widen its focus,” and try “digging deeper into Wall Street or Boston” to make contact with more recruiters. On the flipside, a current student counters, “I have had interviews with Covidien, Pitney Bowes, General Electric, and Travelers Insurance, and I know UConn has a strong presence when I see that I am com­peting in the second round interviews with students from Yale and Cornell.” In a recent year, 58 percent of UConn graduates were working, negotiating a job offer, or pursuing further study within three months of graduation. By six months, that number had jumped to 71 percent of students. The mean salary for recent UConn grads was $95,120 in the previous year, with a high of $120,000. Companies hiring UConn gradu¬ates include AC Nielsen, Aetna, Atlantic Records, Barclays, CIGNA, Citigroup, CVS Caremark, Deloitte Consulting, ESPN, General Electric, Hasbro Hewitt, Hubbell, Inc, IBM, ING, Liberty Mutual, Nestle, Nasdaq, PepsiCo, Pitney Bowes, Prudential Financial, Siemens, Sun Products Corporation, Travelers, Webster Bank, and XL Global Insurance. Educating business leaders for 130 years, the University of Connecticut (UConn) is ranked among the top 3% of business schools worldwide according to Business Week, Forbes, and U.S. News & World Report. UConn's MBA Program offers a comprehensive state-of-the-art business education that empowers business leaders to anticipate and effectively manage the challenges within today's dynamic and complex world of business. UConn's competitive advantages include a completely individualized plan of study based on the candidate's ultimate career goals, as well as the integration of award-winning innovative experiential learning opportunities that radically challenge a student's intellect, enhance skill sets add prepare individuals for success in life as well as in the competitive world of business. Innovation Accelerator, SS&C Technologies Financial Acclerator, International Business Accelerator, Stamford Learning Accelerator, Sustainable Community Outreach & Public Engagement (SCOPE), CIBER (Center for International Business, Education and Research), GE Global Learning Center, Real Estate Center, Health Systems Center. Daniel D. Toscano '87 - Head of Global Leveraged & Acquisition Finance, Morgan Stanley & Co.
Lauralee E. Martin '79 MBA - CEO, Americas, Jones Lang LaSalle Inc.
Want more info about University of Connecticut, School of Business Full Time MBA? Get free advice from education experts and Noodle community members. Is an MBA from UConn a worthwhile investment?